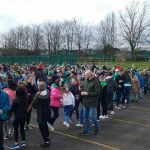 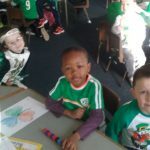 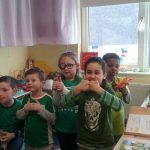 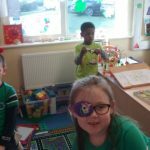 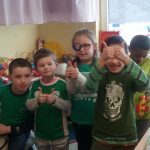 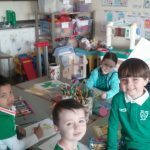 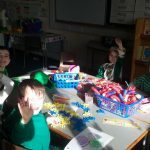 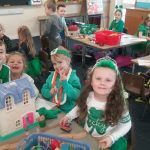 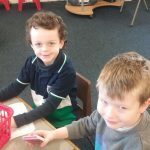 Bhí lá iontach againn i Scoil Oilibhéir inniu. 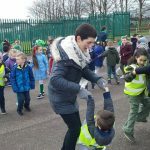 Ghlac gach duine páirt san Cheilí mór sa chlós agus bhain gach éinne taitneamh as an rince agus as an gcéiliúradh. 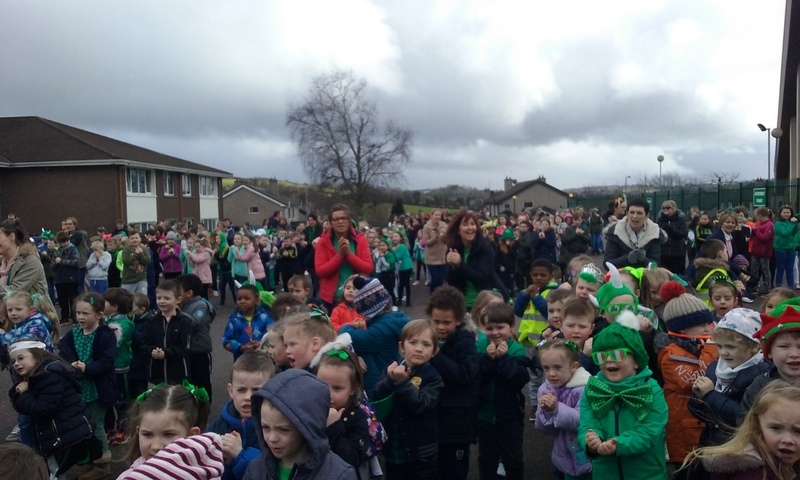 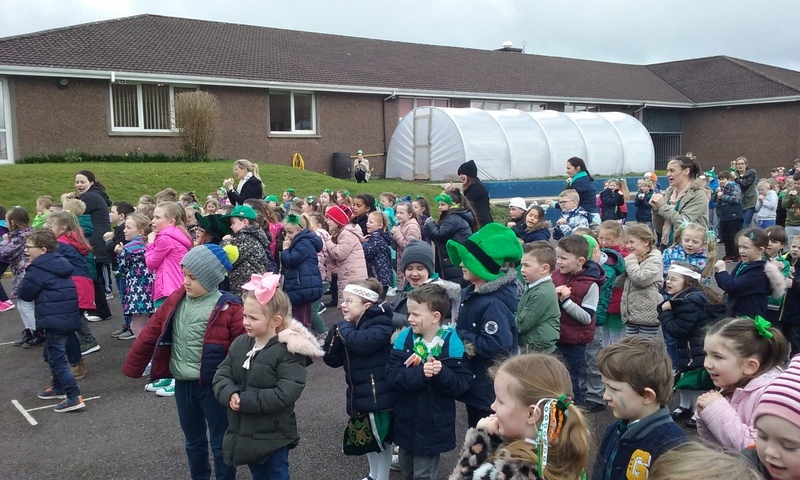 What a day of celebration we had in Scoil Oilibhéir today. 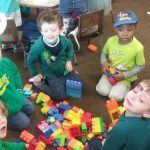 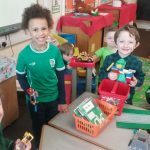 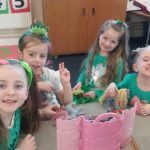 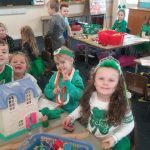 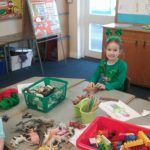 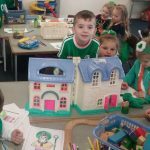 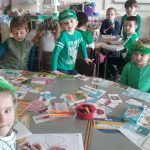 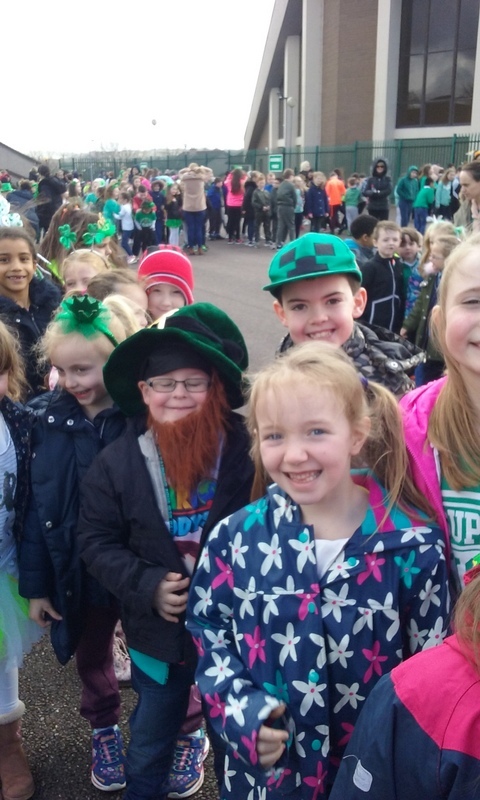 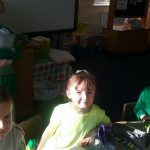 The children came to school all dressed in green and ready for fun – leprechauns go leor in every classroom! 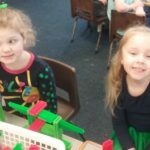 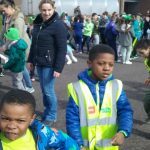 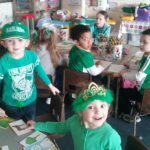 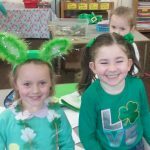 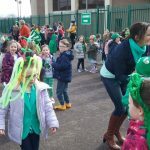 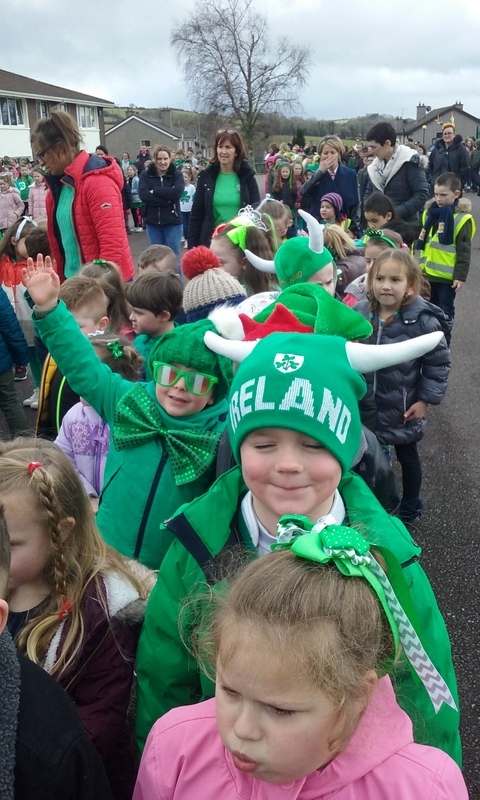 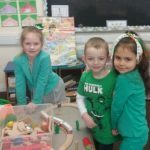 In fact Mr. O’Brien thought that the children dressed in green in support of his beloved Nemo but that delusion did not last very long!! 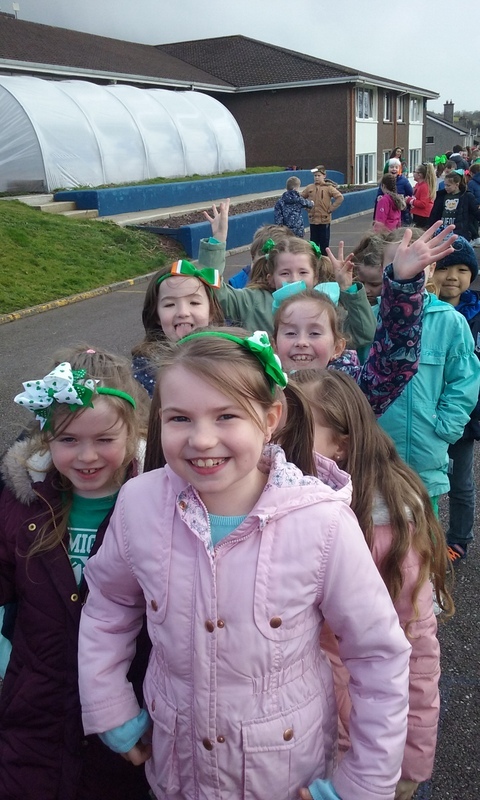 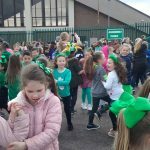 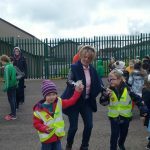 The sun shone as the children made their way to the yard for the Ceilí mór and Ms Daly’s Rang 3 got us off to a great start with Ag Canadh sa Bháisteach. 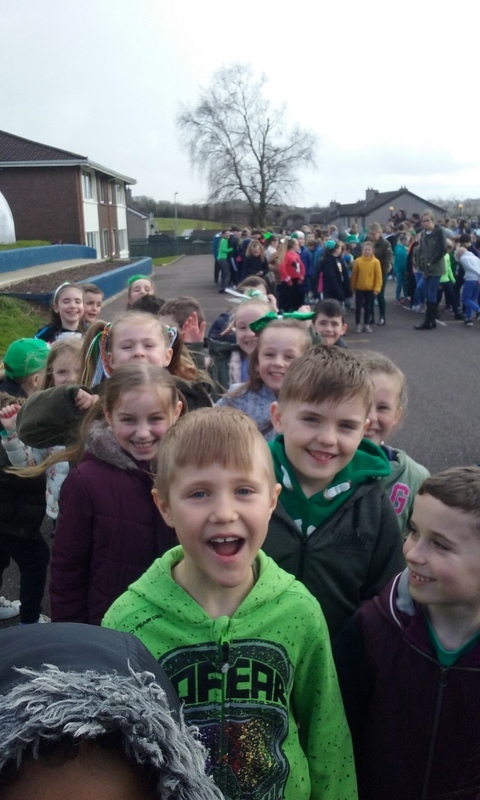 This was followed by An Dreoilín and Fallaí Luimní led by Ms Barry Murphy’s Rang 4. 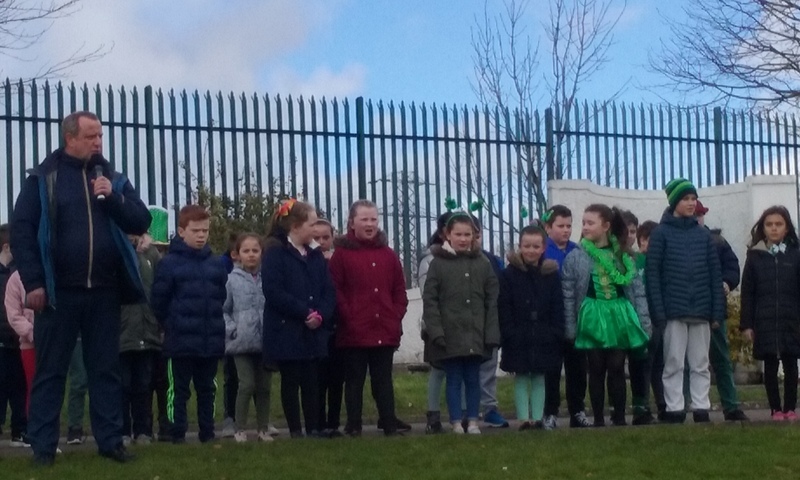 Mr Ryng and his class gave us a rousing rendition of Oró sé do Bheatha Bhaile and proceedings closed with Amhrán na bhFiann. 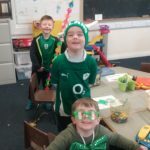 Lá iontach a bhí againn and the children went home tired but happy. 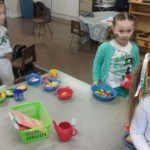 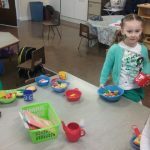 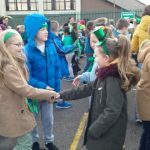 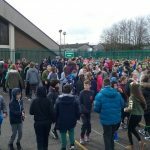 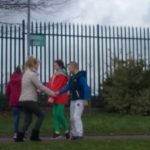 Beannachtaí na Féile Pádraig oraibh go léir.